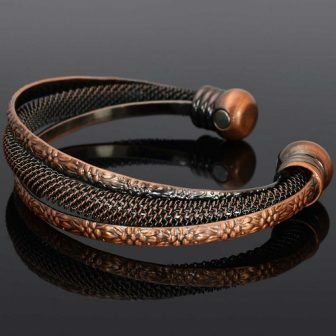 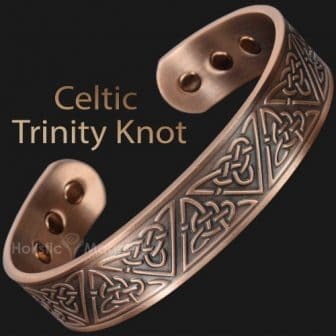 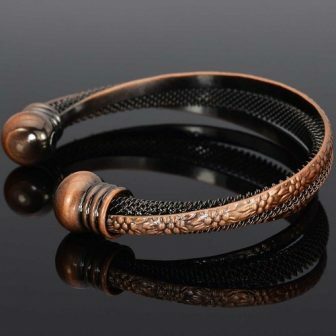 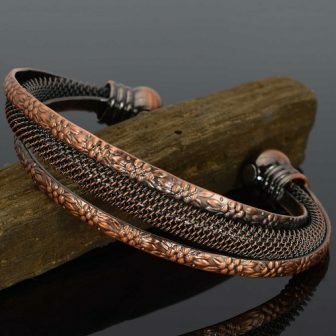 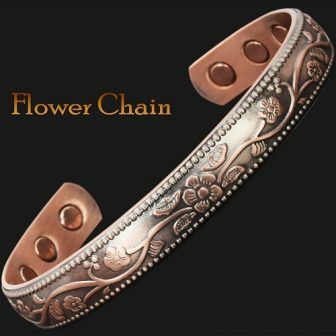 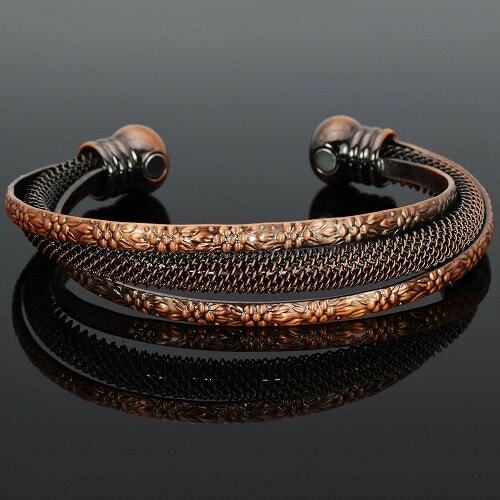 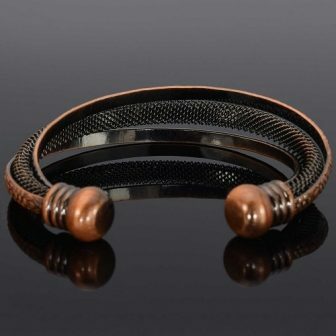 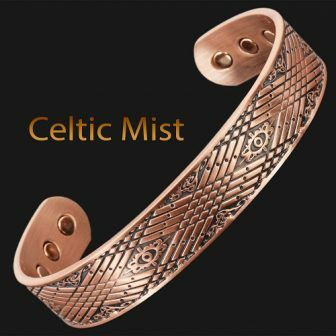 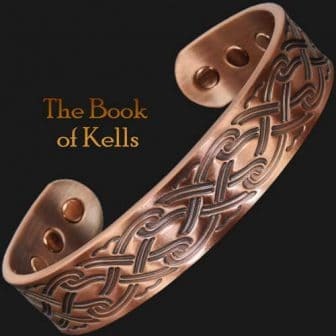 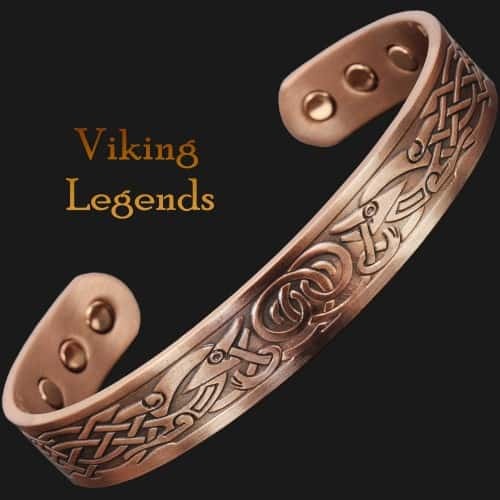 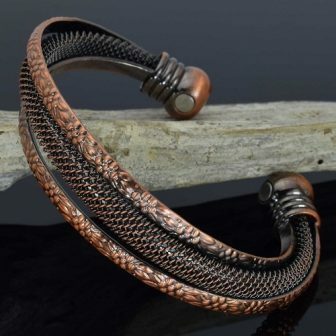 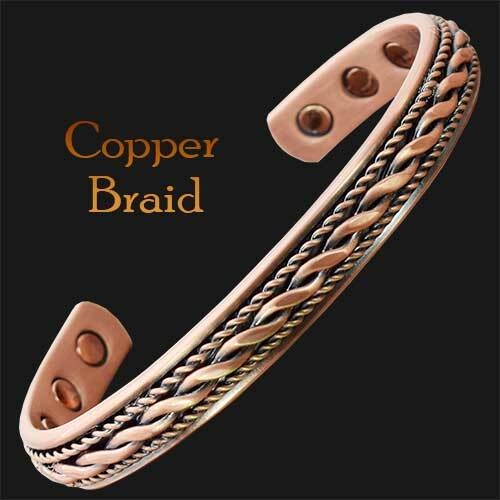 This Copper Magnetic Bracelet Cuff for Women is crafted from pure copper and designed with 3 bands crossed intricately together with the central part is innovatively concealed in copper mesh. Copper dome ends hold two rare earth neodymium bio magnets for added benefit. 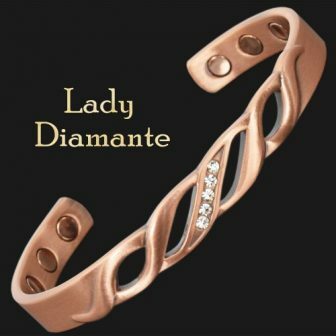 Comes in a free luxury gift box – ready for giving! 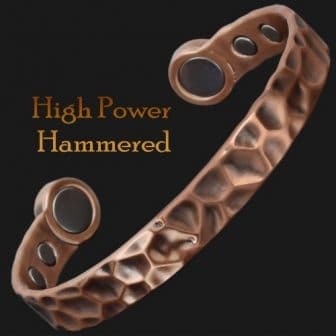 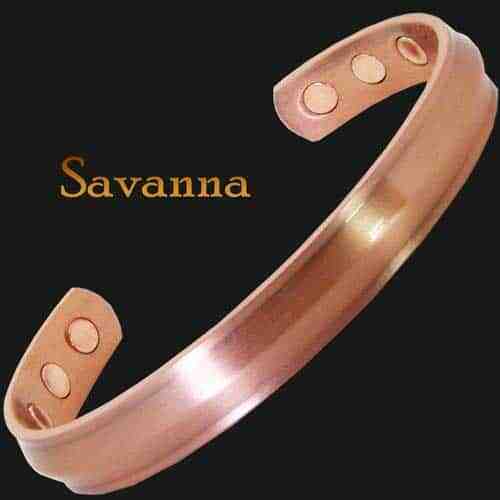 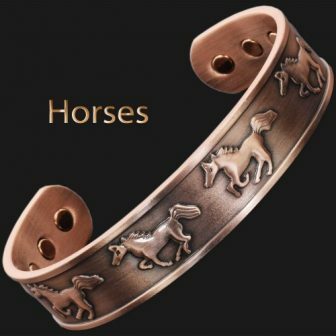 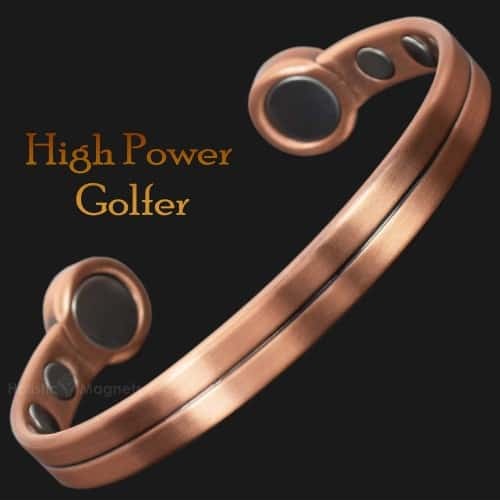 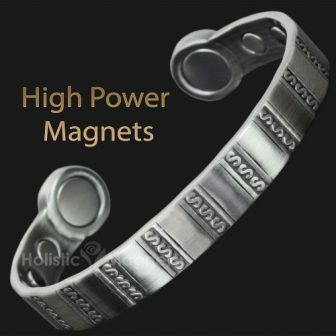 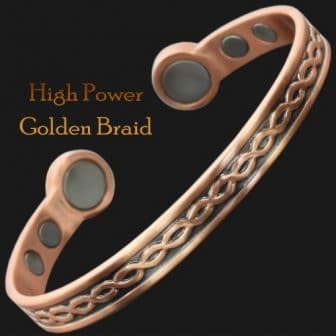 Copper magnetic bracelets may help relieve pain and discomfort associated with arthritis, rheumatism, carpel tunnel syndrome or injury and reduce swelling and stiffness by increasing blood circulation which leads to more oxygen and nutrients available to painful areas. 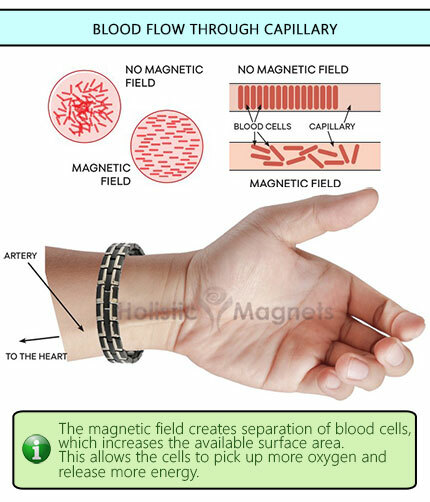 – People with cardiac pacemakers should avoid wearing magnets. 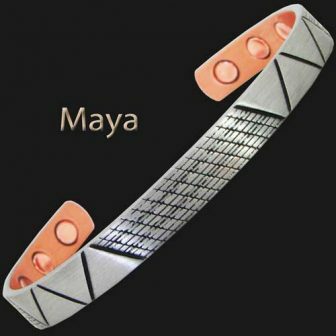 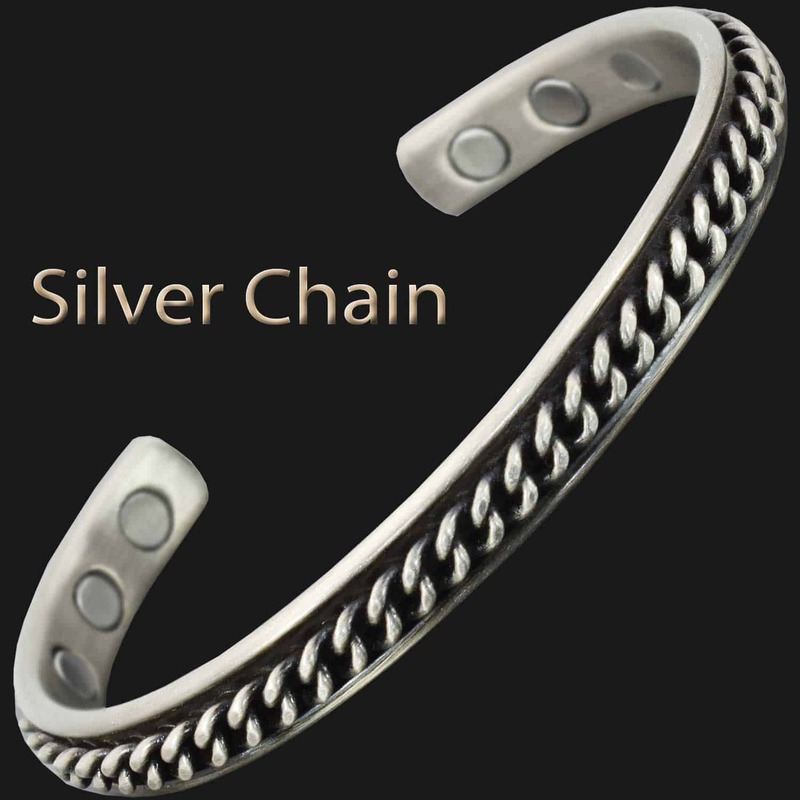 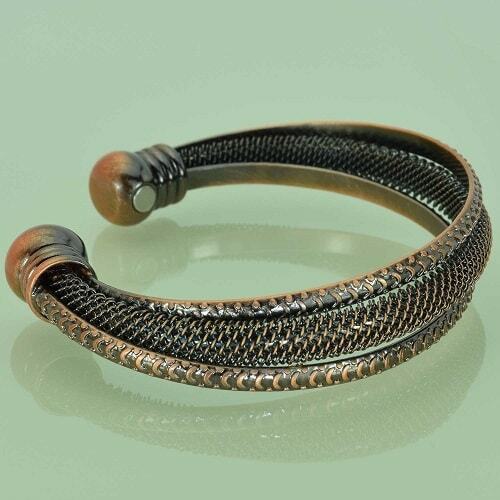 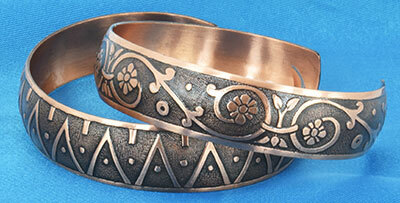 – In order to preserve the look of the bracelet we recommend to take the bracelet off when showering or swimming.